Through this discussion paper, CIRDI aims to share ideas and elicit dialogue on the topic of the fiscal governance of natural resources in developing countries, and in particular the strengthening of capacity to audit natural resource sectors, especially mineral exploration and mining. 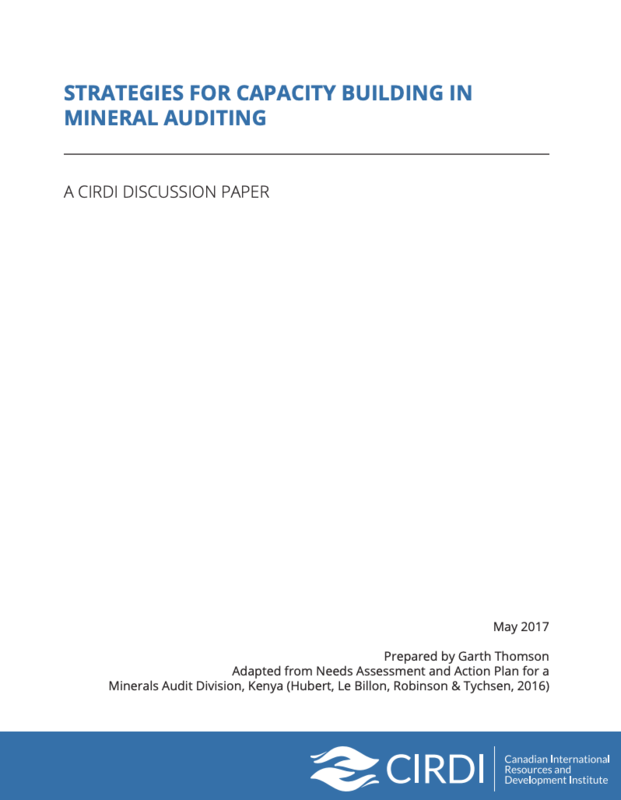 Establishing mineral audit capacity is an important component in the assessment of regulatory and contractual compliance by mining companies. By improving awareness of the challenges and opportunities facing fiscal governance of the natural resource sector, improved dialogue on these issues can assist countries with emerging mineral sectors in managing revenues from their mineral endowment in ways that will contribute to broad-based economic development and poverty reduction.